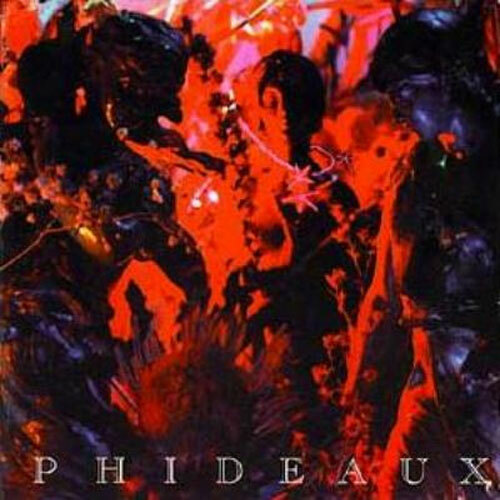 Phideaux (pronounced like "Fido") is New York singer/composer/multi-instrumentalist Phideaux Xavier. His debut release, Friction, is a dense and quite impressive piece of work. Featuring something in the region of twenty guest players, and packaged strikingly (if somewhat pretentiously) with a rather cumbersome 24-page booklet richly illustrated with original artwork, Friction is quite some effort for a debut disc. Friction covers a lot of stylistic ground over its 22 tracks and 76 minutes. Certain tracks such as "The Odyssey" are spotlights for Phideaux's Steve Hillage-like guitar playing, while others like "Love of a Million Doves" and "Aquamarine" feature mostly acoustic backing, lots of cello and saxophone, pointing to a possible Renaissance influence. His own calming baritone voice graces many of the tracks, though he's often joined by a few female vocalists, often singing lead along with, or instead of him. Most of the pieces are highly arranged, the one exception being the claustrophobic "Claw the Land," the simple arrangement complementing the dark lyrical content. Elsewhere are avant-garde sound collages ("Menace"), indescribable folk-influenced pieces ("Letters to the Tiger") and MIDI-heavy techno. It's the last style which is least likely to appeal to Exposé readers. Also, the occasional use of a drum machine in lieu of real drums on a few pieces weakens otherwise strong tracks like "Resurrection Pact" and "Wake up Little Beauties" somewhat. Due to its great length and astounding stylistic variety, it's a bit of a commitment to put Friction on and listen to it all the way through. It helps to think of it as a bit of a sketchbook of musical ideas, which for all intents and purposes, it is. For someone who has just burst onto the scene, it's surprising that Phideaux should attempt something of such magnitude and scope. And heartening when one thinks of the possibilities of future releases.